Ideal starter family home ready to move in with a splash pool and your own indigenous forest on your doorstep.The exposed trusses are a great feature that enhances the light and volume of the space throughout the home. Open plan kitchen and lounge area with a cozy fireplace that divides the dining room from this space. The lounge is on a split level opening out onto a large deck with your outside entertainment area. The main bedroom, with walk in wardrobe and open plan en-suite bathroom, along with a separate guest toilet is on the lower level adjacent to the kitchen. Upstairs you have a tv lounge which can also be used as your studio or study. There are 2 bedrooms sharing a bathroom and both these rooms open out onto an outside deck. The double garage has room for the laundry and a drying yard on the east side of the home. 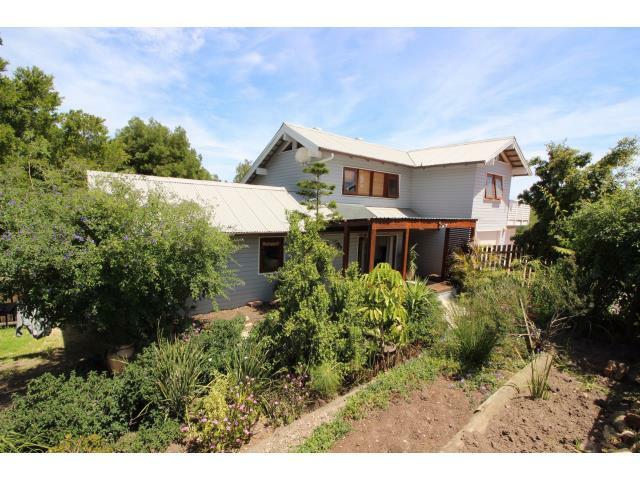 This home is situated close to the private hospital and doctors rooms. Ready to move in this property featuring all the comforts, offers you the discerning buyer an investment in a tranquil lifestyle that should not be missed.